90 Days of RLR – Reflection, Learning, and Rejuventation! I’d like to belive that I will keep this blog up-to-date through the summer but that might be wishful thinking. However, you may still keep up with me during the summer on Twitter at #RLRSummer. I will be posting every day during my 90 Days of RLR – Reflection, Learning, and Rejuvenating – from June 6 – September 3. I am using the RLR tag that we use during the school year (Rice Lake Roadrunners Model Respect, Learning, and Responsibility). Don’t be afraid of Twitter and don’t think you have to follow random celebrities’ every move. 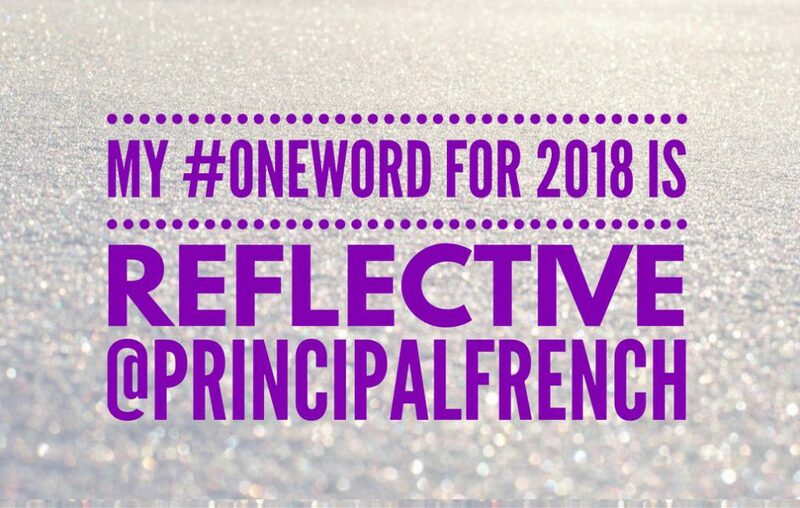 I have enjoyed using Twitter to share the great things happening at Rice Lake and build my PLN – Personal Learning Network. If you desire, you can simply follow #RLRSummer to keep track of my 90 Days of RLR postings. Perhaps by doing that, you may be encouraged to take more Twitter steps; following others, “lurking” in Twitter chats, or posting your own reflections, learnings, and rejuvenations! We had a special visitor last week thanks to one of our first grade students, Nevaeh Torma. 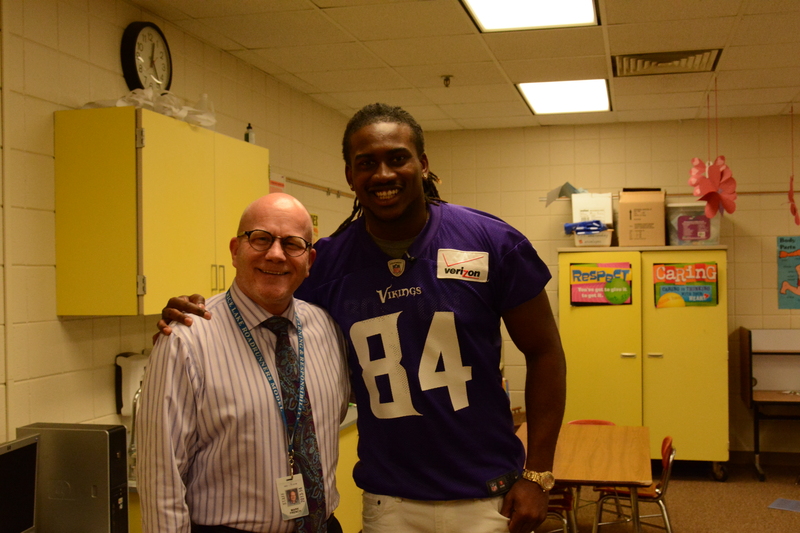 As part of a class project, Nevaeh wrote a letter to Minnesota Vikings wide receiver Cordarrelle Patterson. Her teacher, Drew Gernand, Tweeted Nevaeh’s letter and Cordarrelle saw that Tweet and responded by visiting Nevaeh, having lunch with her, and spending time with she and her classmates. I had the opportunity to meet Cordarrelle, watch him interact with the students, and answer their questions. Wow, what a classy guy. You can read in the media stories his impetus for doing this and why this was important to him. I now have a new favorite Vikings player, #84 Cordarrelle Patterson! I am attaching the links to the story that appeared in the local media.